As Eric Lamy wrote in our special 10 year issue: "One of the Joomla! events of 2016 will certainly be the launch of the certification program. Why? Because the stakes are huge." The certification program has now been launched, and to help us see the concept, the organization and the contents more clearly, we interviewed Marc Dechèvre. 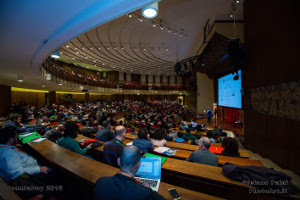 The 9th Italian JoomlaDay was a fantastic event. Just like previous years, there were a lot of happy faces and great sessions. It's a good example of what our Community is all about: have fun, learn and connect with others. JoomlaDay Italy also hosted an exam with great results. Almost 50% of the candidates passed. Another great milestone has been reached. On Tuesday, November 8, 2016, Marc Dechèvre passed his exam at Joomla! Learning Partner R2H. 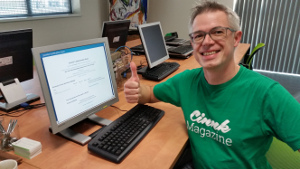 Although the exam was in The Netherlands, Marc became the first Belgian Joomla! Administrator. On Saturday, October 15, 2016, Italian Joomlers had the opportunity to attend the first Joomla! Administrator Exam in Italy. This session has been hosted by a Joomla! Learning Partner in a data center in Pisa, where candidates used an incredibly fast internet connection (757 Mbps). Bonaventura Pizzoferro and Mattia Cattaneo became the first two Italian certified Joomla! Administrators. Supervisor Luca Marzo congratulated them on behalf of the Joomla! Certification Program. We asked organizer Marco Mangione about this experience with the JCP as a Joomla! Learning Partner. On Saturday September 24th, 2016 Polish Joomlers had the privilege of joining the first Joomla! 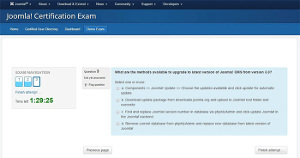 exam at a European JoomlaDay. An enthusiastic team of organizers had organized a great JoomlaDay with a lot of attention to the Joomla! exams. They had the honor of hosting this historic event at Politechnika Slaska in Gliwice. 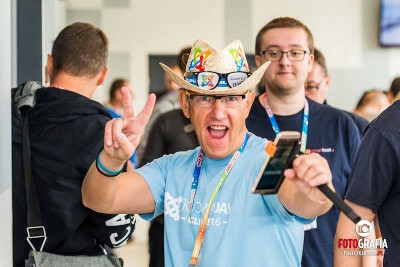 16 candidates took the Administrator Exam, including the well-known Polish community member Sławomir Pieszczek, who became the first Certified Joomla! Administrator in Poland. The Supervisor from the Netherlands congratulated “Sławo” on behalf of Joomla! Certification Program members.